Ever wondered what’s that painful swelling in your toe? It looks yellowish, blotchy brown, scaly and discolored. This condition is onychomycosis, commonly known as fungal infection of the toenail. Toenail fungus can not only be painful, it can also be a major cause of embarrassment. You can’t be seen in flip-flops or sandals no matter how hot it gets. 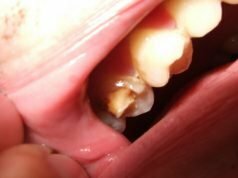 This gradual fungal growth can lead to further complications if left untreated. It may result in athlete’s foot – a condition where feet get itchy, cracked, red and painful. Fungus is usually present in all living organisms. However, it becomes a problem when it overgrows. Toenail fungus is caused by microscopic fungi entering the nails. It can affect both finger and toenails. Fungal growth begins with small fungi entering the toes through the cracks in the nails or cuts in the toes. The fungi, if left untreated will spread to the rest of the toes, fingernails, and surrounding tissues and get infected. Fungal infection can affect any part of the body from the skin, extremities to oral cavities. Fungi reside along-side with bacteria so, if left untreated, it could get infected resulting in severe toenail fungus. Fungal infections are gradual so they not noticeable until they get bigger in appearance or begin to hurt. One of the common sources of fungal infections is the pedicure tools used in the lady’s saloon. Be sure to thoroughly disinfect nail clipping and nail filing tools before and after every use. Nail fungi thrive in moist warm conditions. Staying in sweaty socks is another common cause. Sportsmen who constantly sweat in their feet and don’t change their socks at regular intervals are vulnerable to this fungus. Apart from the above causes, there are a few people who are most susceptible to toenail infections and they must take extra care and maintain good foot hygiene. Research suggests that men are more susceptible to nail fungus than women. Senior citizens are also in the league due to age-related poor blood-circulation. o Change your socks regularly. o Let your toes breathe for 15 minutes every 3-4 hours. o Use antifungal sprays or powder before you wear your shoes. o Dry your feet, nails, and areas in between your toes thoroughly after a shower. o Wash your hands after you touch an infected nail to avoid spreading it around. o Make sure your groomer has thoroughly disinfected the nail handling tools before he/she uses them on you. o Refrain from using artificial nails or old nail paints. o Maintain good foot hygiene. Wash your feet with warm water and soap twice a day. 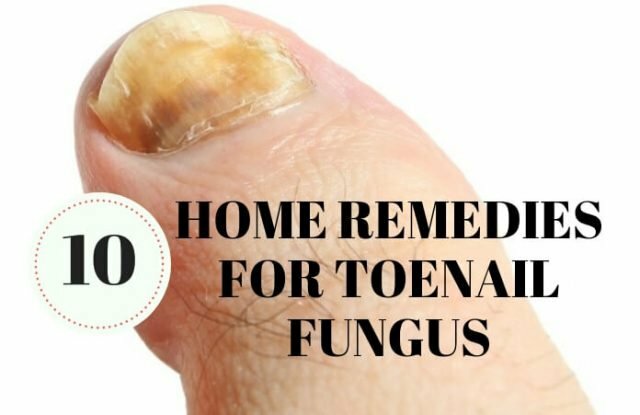 After treatment and cure, there is no guarantee that the fungus won’t recur unless the toenail has completely grown out or is replaced by a fresh healthy nail. Patients prone to toenail fungus must take extra precautions. Talk to your healthcare provider if you are a diabetic or an active sportsman to avoid recurrence. o Permanent procedural removal of the nail either chemically or surgically so it won’t grow back. Tolnaftate – Used to treat athletes foot, ringworm, and Jock itch. It is available as cream, liquid or powder spray. Clotrimazole– It is usually used to treat yeast infections but can be used to treat toenail fungus as well. It is available as a cream or lotion. Terbinafine – Also known as Lamisil. Available over the counter as a gel, ointment, spray or powder. It’s also available in a tablet form as one-a-day use for 12 weeks. The severity of toenail fungus side-effects depends on the drug tolerance of each individual. If you would like to stay away from drugs and try some safe natural foot fungus remedies, look no further. You are in the right place. Try these natural cures for nail fungus to fix your problem forever. Camphor and eucalyptus oil in Vick’s Vaporub act as antifungal and emollient. The ingredient purified petroleum jelly in Vick’s Vaporub forms a thick layer on the nail suffocating and killing the fungus and the pain-causing bacteria. Research studies conducted on natural remedies for effective antifungal treatment showed snakeroot extract helped in considerably reducing toenail fungus after applying for three months. Snakeroot extract is an extract from a flower belonging to the sunflower family. Wash your feet thoroughly with warm water and soap. Apply a small amount of snakeroot extract to the affected toe/toes. Cover your feet with socks before going to bed. Repeat every night for 30 days. The antifungal and antibacterial properties of tea tree oil are not unknown. It is used in the preparation of a variety of antifungal ointments. Dip a cotton ball in tea tree oil and apply it to the affected nails after a shower every morning. Repeat for 15 days. You can find pure tea tree oil in any pharmacy or can order it online. Oregano oil is used for a variety of seasoning and salad preparations. Did you know why? Oregano is an herb and the oil extracted from this herb has many medicinal properties. The ingredient thymol in oregano has antifungal and antibacterial properties. This natural remedy gets into the nail bed and attacks the underlying problem by permanently destroying the toxins and heals without the use of prescription medications. Dip a cotton ball in oregano oil and apply it to clean toenails twice a day. Repeat for 15 days to see best results. The multipurpose olive oil comes with a long list of benefits. olive oil makes a great accompaniment for bread and seasoning for salads. The active ingredient oleuropein in it is great for a glowing complexion and healthy hair. Apart from that, olive oil is also loaded with antifungal and antibacterial properties. It is also known to boost the immune system. o Wash your feet thoroughly with soap water and dry it well. o Apply a small amount of olive oil directly on the toenail. o Massage for 10 minutes until it is completely absorbed by the nail and the surrounding skin area. o Repeat every night for 30 days. Mix 1 cup of vinegar in 1 gallon of warm water and soak your feet for 30 minutes. Pat dry after soaking and apply Vick’s Vaporub to the nails. 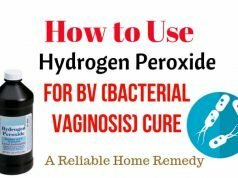 The warm water solution will soften the skin and nails and the vinegar will act as an antifungal getting absorbed into the nail giving fast relief. Most mouthwashes contain eucalyptus, thymol, and menthol which are powerful antifungal and antibacterial agents. Dip a cotton ball in mouthwash and apply liberally to the affected nail after a shower. Repeat for 30 days. You can also treat yourself to a foot bath with Listerine. o Add 1 gallon of warm water and mix well. o Soak your foot in it for about 30 minutes. o Don’t forget to completely dry your foot and areas between your feet after you soak. Garlic has been used to treat fungal infections for ages. Wash and dry your feet well. Chop some garlic and massage into your toes for 10-15 minutes before bed. Cover your feet with a clean pair of socks. Repeat it every night for 30 days to see best results. Alternatively, you can massage your nails with garlic oil for 10 minutes and wash with warm water. If you find the strong lingering smell of garlic difficult to tolerate all day, you can alternatively choose to swallow garlic oil capsules to treat from within. o Wash your feet thoroughly with soap and warm water. o Dry them thoroughly before oil application. o Dip a cotton ball in extra virgin coconut oil and apply it to the affected toes. o Massage for 10-15 minutes till the oil is completely absorbed. o Repeat every night before bed for 15 days. Coconut oil helps eliminate the free radicals and help heal the damaged nail and skin. o spinach is rich in iron, calcium very beneficial for healthy bones, teeth and nails. Although toenail fungus is not life-threatening, it is life-altering. The unsightly appearance can cause pain and embarrassment to the patient. Healthy skin, hair, and nails are indicators of a healthy body and immune system. Take good care of your body. Maintain good hygiene and eat healthy to keep toenail fungus away for good.